Thompson Target's ultra bright high visibility bullseye shooting targets are anything but traditional. Welcome to a new era in shooting targets! No longer are black targets printed on poor quality brown paper your only target shooting option. We've taken a fresh look at paper bullseye targets and created a line of targets that outperforms anything that has come before. Now you can clearly see your sights on the target as well as your hits even from long range! 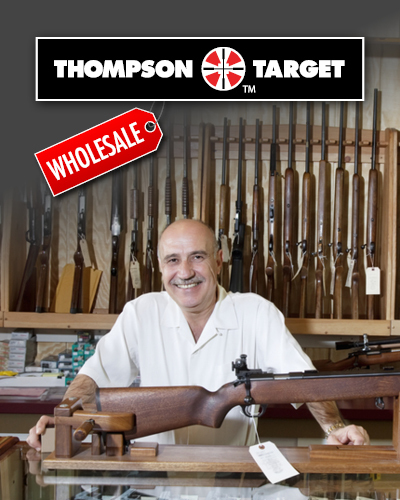 Thompson targets are designed for every bullseye shooting application. We have targets specifically designed for low light situations, handgun and rifle shooting diagnostics, and sight alignment. Thompson Target uses higher quality bright white paper and vibrant fluorescent inks to create our unique combinations of color for each target. Not only will you see your dark sights and scope crosshairs easier, but each shot will be easily seen even when shooting at long distance. 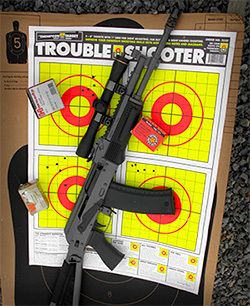 Thompson bullseye targets are designed for pistols and rifles from 5 to 300 yards.